Barry Whitbread will probably best be remembered as a player at Runcorn, even though he did have a spell in charge as manager between 1988 and 1990, when John King left us. 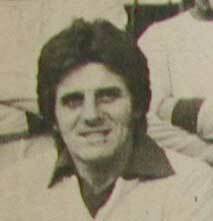 As a student, Barry had attended Lancaster University and had played for Lancaster City season 1971/72. He made himself quite a reputation as a goalscorer, having scored a hat trick on his debut for them. However at the end of that season, Barry moved back nearer to home when he was transferred to the Linnets for the princely sum of �250! Barry trained to become a teacher, although he was later to become a coach at Liverpool�s Academy, after spells coaching in the States and in charge of the Singapore National Team in the 1990s! (I suspect he is the only ex-Runcorn player to have gone on to manage a National team?). 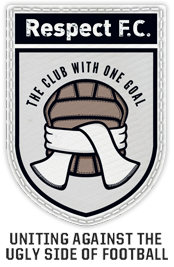 Interestingly, Barry�s son Zak, was born in the USA and has represented them at Under 20 level. He is also now part of the Liverpool reserve team ( at 6′ 3″ he is a bit bigger than his dad). Barry did not have the greatest success with the Singapore team and a glance at their web site back in the late 1990s showed the pressure he was under: � The man under fire is National Team coach, Barry Whitbread. The team cannot seem to be able to attack, let alone score goals under his charge�! That was not a problem Whitbread had during his career at Runcorn, and indeed he went on to make six appearances in total for the England non-League team. For most of his time at Runcorn, Barry was amongst the goals and was eventually transferred to Altrincham in October 1979 making him the club�s costliest player at that time. (What with Barry Howard, Barry Whitbread, Mal Bailey to name but three, there have been lots of players over the years who have played for both teams. We even swapped Managers after the FA Trophy Final!!). In the championship winning side of 1975/76, Whitbread scored a creditable 29 goals but that season he was pipped to the �golden boot� award by Trevor Finnegan, who scored an amazing 43 goals. One of Whitbread�s memorable goals was in FA Cup replay in November 1977 when he headed the only goal in a replay against Southport to take us into the Second round against Hartlepool. Watched by a crowd of 5,156 at Canal Street, the match generated record gate receipts at that time of almost �3,500. Yet perhaps it is a match when he played for Altrincham against the Linnets at Canal Street which most sticks in the fans minds. Alty were winning 4 � 2 with 10 minutes to go and Whitbread had scored all four and yet he still ended up on the losing side, as the Linnets made a stunning come-back to score three in the last few minutes and win 5 -4! As manager he did take us up to third in the league but he was unable to sustain the success. So it is as a player that we remember Barry Whitbread as a Linnets Legend.